Take a quick glance around your house. 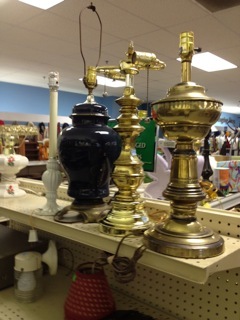 See any lamps that need a little boost? Perhaps it's a brass number your mom gave you years ago or a bright blue base that just doesn't go with your style anymore. Well, it doesn't have to go in the trash; it's time to make it over! In just a little over an hour, you'll have a new, stylish home accessory and the skills and confidence to tackle other projects. Don't stop there, though. We'll be hosting plenty of unique workshops throughout the summer! 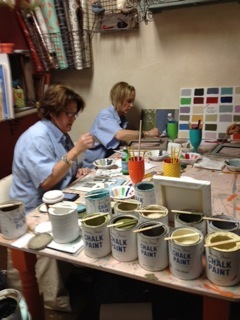 Come learn how to turn out fine art with Annie Sloan Chalk Paint or try your hand at watercolors. 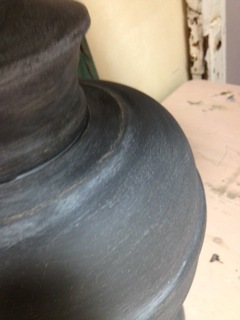 And stay on the look out for more workshops on how to re-funk your junk! Mother's Day is right around the corner, and we have plenty of gifts perfect for the special day! 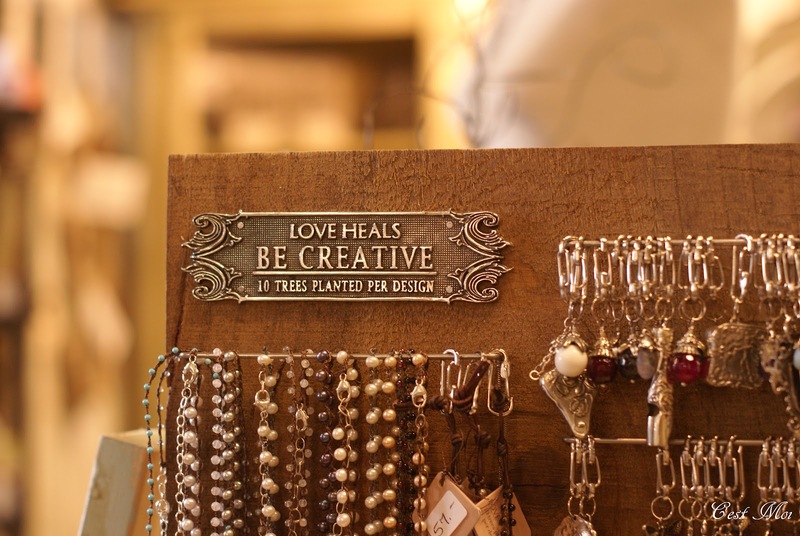 Love Heals is a unique family business; when each of their handmade jewelry designs is sold, 10 trees are planted in Ethiopia. According to their website, more than 700,000 trees have been planted so far! Their business isn't just about the environment, though. 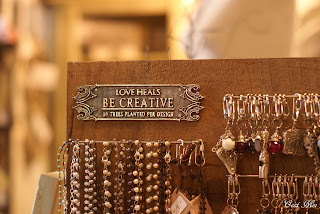 Love Heals' jewelry is of the highest quality, and their avante-garde designs are the perfect compliment to a floaty bohemian top or a trendy maxi dress. If she prefers perfume to jewelry, be sure to consider Lucia Soy Candles. Instead of the standard vanilla or floral scents, they offer elegant combinations like sea watercress and chai tea. Their gorgeous packaging makes them ideal as a Mother's Day gift, and she'll appreciate their longevity; the farming-collective sourced soy burns cleanly for 50 hours. Everyone needs a little sweetness now and then, so why not get it in the best form possible? TruBee Honey Straws are a wonderful portable sweetener. Each contains a teaspoon of pure, raw all-American honey. Paired with one of our engraved teaspoons, it's an excellent gift for anyone with a refined palate. Perhaps you want to take your gift-giving one step Further. This family-based company truly embraces the idea of reusing and recycling! The husband and wife team pick up depleted waste-grease from restaurants, create biofuel for their cars, and then use the glycerin byproduct to make their signature hand soaps, lotions, and candles. Talk about sustainability! Each product is infused with fragrant oils of bergamot, olive, and exotic grasses. As they've said, their products will "leave your hands feeling squeaky clean, but will freshen your conscience and inspire your soul." 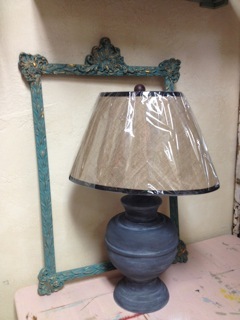 So whether you're looking for a gift or just want to treat yourself, stop by the shop. We have everything you need!